Mark Borns is a 1983 graduate of the University of Wisconsin-Madison law school. He has been ranked as one of the top family and divorce lawyers in Dane County in a poll of lawyers published by Madison Magazine. 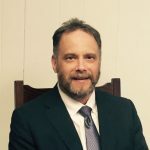 Mark has over 30 years of experience representing clients in divorce actions and custody disputes. He has often acted as guardian ad litem representing the interests of children in divorce and juvenile court. Mark’s areas of practice are divorce, child custody and placement, property division (including gifted and inherited property), maintenance, and child support. Mr. Borns also prepares pre-and postnuptial agreements. He has represented clients before the Wisconsin Court of Appeals and Wisconsin Supreme Court. In addition to his family law practice, Mark Borns prepares wills and trusts. He represents clients with personal injuries from accidents, and in general civil litigation including business disputes and real estate disputes. He has handled 100’s of criminal cases, both as a prosecutor and as a defense attorney. Mark Borns has been appointed as a court commissioner. In that capacity he performs weddings and supplemental hearings. Molly Fellenz is a 2004 graduate of the University of Wisconsin Law School and obtained her undergraduate degrees in Political Science and German at UW Madison in 1998. Molly has a diverse legal background, with private practice experience in the areas of family law as well as criminal and juvenile defense. 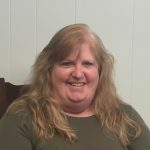 She has been appointed as Guardian ad Litem to represent the best interest of the children in juvenile and family court. 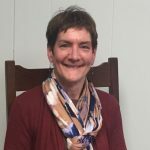 Molly has also practiced in a non-profit setting, where she assisted people age 60+ with public benefits appeals and consumer issues, and also managed the Wisconsin Guardianship Helpline, dealing with complex guardianship, protective placement, and advance directive matters. She is a member of the State Bar of Wisconsin and the Dane County Bar Association. 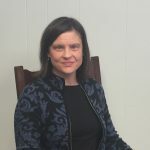 Jeannine Hanson is a paralegal and general office manager with Borns Law Office, LLC. She has been employed in the legal field as a legal secretary and paralegal for 25 years. She has worked primarily for Attorney Mark F. Borns for the past 22 years. She has extensive experience in document preparation, client contact, research and trial work. Primary areas of concentration include probate, personal injury, litigation and all areas of family law, including but not limited to divorce, child custody and placement, property division and maintenance disputes. Past areas of experience include personal injury, bankruptcy, worker’s compensation, criminal and traffic. Annie M. Schwartz is a paralegal with Borns & Fellenz Family Law. She has been employed in the legal field in Dane County for over 25 years and has a wide range of experience. Prior to her employment with Borns & Fellenz Family Law, Annie worked in several Madison law firms doing a variety of legal work, including family matters, criminal & traffic matters, civil litigation, investigations, and business law. Annie enjoys working closely with our clients to meet court deadlines, prepare documents, and to assist in any other way necessary.